Are you tired of hearing how ICOs are disrupting fundraising? The first five months of 2018 saw funds raised through token sales jump to $13.7 billion, around double the amount raised in the whole of 2017. Venture capital funding is not going away any time soon. We’re going to see a change in funding models and the growth of hybrid models thanks to cryptocurrencies, but there’s one thing that’s not going to change, and that’s investment in disruptive ideas and the people behind them. These ideas bear fruit when you consider the Internet of Things. There are few industries that devices with sensors and platforms aren’t impacting. There’s a seemingly endless array of verticals including healthcare, agtech, manufacturing, connected cars, utilities and smart cities. One unsung hero is industrial IoT, Industry 4.0 and the industrial application of IoT is driving much of the investments. Take the average factory: it’s a vast, noisy, smelly workplace with huge expensive machines where a malfunction can not only cost millions in downtime but potentially cause a life-threatening accident. Your heart might not beat faster at the thought of sensors in a factory that can identify a fault in a machine before it breaks down, avoiding days of costly repairs without warning (Augury Systems) or a sensor in a sewerage pipe that can monitor the influx of seawater during a flood (Ayyeka). The reality is that these kinds of solutions are solving problems that previously plagued traditional industries for generations. Startups in IIoT are creating solutions which increase efficiency, improve supply chains, reduce waste and provide greater safety for workers. Amid an advancing ecosystem of interconnectivity, startups in robotics (Preferred Networks Inc.) , wearable technology (Proglove), 3D imaging (Vayyar), AR (Augmate), factory intelligence (N-JOIN) and blockchain (Filament). I met with Alberto Cresto, VC associate at Momenta Partners, a fund solely focused in Connected Industry across Telematics, Industrial Automation, RFID, M2M/IoT, Enterprise systems, Infrastructure and Network system. The company also conducts Executive Search and advisory work assisting traditional companies in digital transformation. They’re invested in 17 startups including Litmus Automation, Sensewaves, and Expeto and previously, Plat.On, acquired by SAP. IIoT startups in this space need to deal with experienced executives when it comes to their customer, so if you do an industrial solution and your user is a large established company, you need to deal with a set of experienced people. Some of them will be concerned from an internal transformational perspective, but also because introducing a new product typical impacts on critical areas such as data privacy and mission-critical functions and tasks. Compared to other sectors you need to have either a strong DNA to be able to make your story appealing to domain executives or be supported by a strong network that can open doors for you. How big are the investments? This is good news for startups, many of whom are already enjoying the spoils. Recently, IIoT data analytics company Crate.io and remote irrigation company WaterBit raised 11m in Series A funding respectively. Then there are large corporations taking notice such as Cisco Investments investing in Evrythng and GE ventures investment on OnRamp Wireless. Even less established companies such as last Cybersecurity firm Trend Micro launching a $100 million global venture targeting startups in IoT and related markets. How do startups get funded in the IIoT space? It’s not just about the expertise of the founder but they’re able to fund the company in the early stages when there are no other resources available to them. This gives them a true competitive edge. Momenta also have a history of investing in companies they’ve developed a relationship with through working on white papers, executive recruitment or advisory services. The team is of utmost importance, you want to stress that you have a credible team that is well rounded and has a deep understanding of the space and its dynamics and have a network. The vision needs to be important and compelling, but the investor team needs to have the confidence that they will execute on their plan. There’s an economic incentive, fake it till you make it, and it’s probably widespread, but it’s not good practice. For me, the stage of the company is not a concern per se, and you don’t want to ruin your credibility with statements that are not true, the issues will come up at some point. If you come clean from the start about where you are at then, I know what process you need to make to be investable company for us. 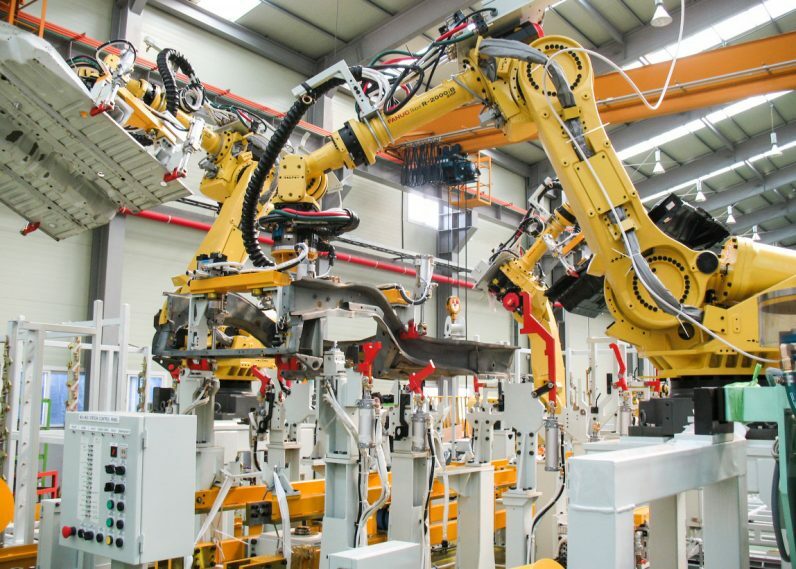 Investments in IIoT show no signs of abating. The convergence of IoT with technologies such as AI and machine learning, AR and blockchain mean that there are greater opportunities for startups to get in on disrupting traditional industries.